Generating more revenue for your online store is undoubtedly one of the most important long-term goals of any business owner. Careful planning and proper implementation combine to help see that goal is met. Although many business owners have an idea of what they want to reach in revenues (just saying “I want growth” or “I want more sales” will get you nowhere), many do not actually put that idea into actual and measurable numbers. This is one key to reaching them int he first place. How can you plan properly to reach a goal if that goal has not been measured in the first place and furthermore has not been tested to see if it is reasonable? The answer is you can’t. You can not manage what you do not measure. I know you are looking for the ways to increase order value so let’s skip ahead here. Just keep in mind that unless you have a plan, and unless you have a reachable and realistic end goal, and unless all those figures are measurable, you might have a hard time getting anywhere fast. What I’m saying is you likely will be able to increase your sales using these 4 strategies but reaching your end goal in the amount of time you wish may be difficult if you have not planned properly. Reaching revenue goals can happen several ways. 1) Increase traffic to your site at your current conversion rate. 2) Increase the customer average order value working with the traffic you already have. I’ll be focusing on #2 for this article. In short, point two above says that you can increase the revenue your store generates without increasing traffic at all, but by increasing the average order value based on the amount of traffic your site already receives. 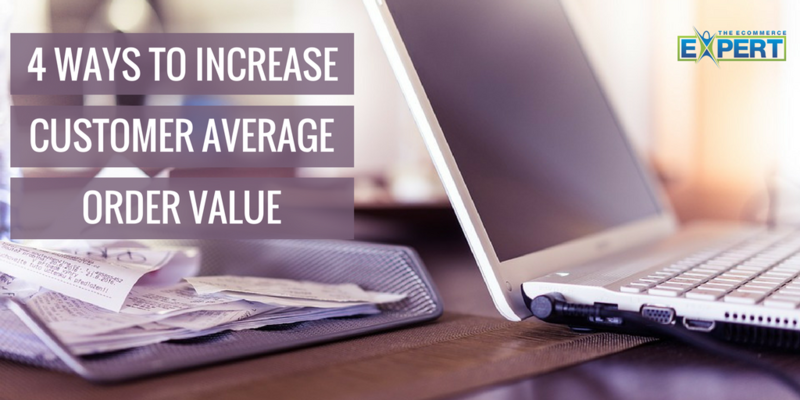 Here are 4 ways to increase your customers’ average order value. This is the most obvious method of increasing revenue yet you must understand what your market is willing to pay and be conscience what any competitors price their product at. You can offer a similar or same product at a premium price to competitors (I’ve done this a number of times with great success) as long as you differentiate yourself in some form from them. You must make the customer see that the perceived value of your product is better than that which they would receive from a competitor. This can be accomplished a number of ways. Cross-selling products just because you can is a bad idea. I often see store owners cross-selling unrelated products in an effort to increase sales. I ask them why and the majority come back with the same answer. They are convinced that if the customer does not like the first product they were viewing they will click on another product that might interest them. This works when the products are related but often has the opposite effect when the products have little in common. The question I ask is would you click on a pack of batteries that were being cross-sold to you if the original product you were viewing was a shirt and pants? I doubt it as the two are completely unrelated. 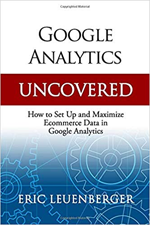 The primary goal of a cross-sell should be to increase the customer’s average order value by offering them a related item which they can add to their cart in addition to the item they are currently looking at. 3) Free Shipping offers with constraints. It’s no hidden secret that free shipping works. In fact, the majority of internet shoppers expect free shipping in some form. You can take advantage of this and also increase your average order value by offering free shipping for orders that reach a certain threshold. If you want your average order value to be $45 for example then you may want to consider offering free shipping for all orders $45 and over. A great way to increase your average order value is to develop combinations of products that when bought separately would cost more. For example, let’s say you sell Apple iPods. You have an iPod Nano for $149.95 and a car adapter priced at $54.95 (a separate cross-sell). These items are likely to be purchased together yet when purchased as individual items a customer would have to pay a total of $204.90. By creating a bundled product which includes both items for just $175, you increase your order value from what could have been just $149.95 to a better $175. Think of it as cross-selling at a discount. Providing you’ve priced it correctly, your customers will see it as a deal that can’t be passed up. These are just a few examples of the ways you can increase the average order value of your customers and thus increase the revenue your store generates. With proper planning, you can get an average order value that based on the current number of visitors your site receives in relation to its conversion rate will put you well on your way toward reaching your ultimate revenue goals.